MondoInvestor Srl, the evolution of MondoHedge, is a professional publisher specialized in financial information reserved to professional investors. The company, which has grown over the years relying on a high degree of competence and accuracy of contents, is now active through three different research and editorial initiatives which have their focal point on MondoInstitutional, MondoAlternative and MondoETF websites. A further important and well-structured activity is the organization of events, organized throughout the year, that are becoming more and more appreciated thanks to the high quality of the topics and the remarkable delegates involved. Moreover, the company publishes the monthly Italian magazine MondoInvestor and the quarterly English magazine MondoInvestor providing insights, analysis, interviews, researches and investment ideas on specific and topical subjects about the asset management industry, with a primary focus on the Italian market. MondoInstitutional is a financial data provider dedicated to institutional investors. It essentially provides a constantly updated database of relevant information on the different categories of institutional investors, with search engines that allow to create reports for quick analysis and comparisons. 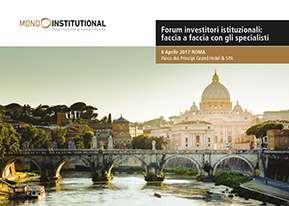 MondoInstitutional organizes every year several events dedicated to Pension Funds, "Casse di Previdenza", Bank Foundations, Family Offices and Insurance Companies. MondoAlternative embraces the whole alternative investments’ segment (Real Estate, Private Equity, Private Debt, Infrastructures and Commodities) offering services to professional investors, such as the access to a Database with reports of quantitative and qualitative analysis for Liquid Alternative Funds and for Italian and offshore hedge funds; indices of the Italian hedge funds and of the alternative UCITS funds created in collaboration with Eurizon Capital Sgr; news and insights about Real Estate, Private Equity and Commodities. 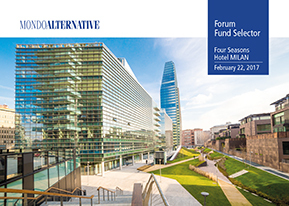 Furthermore MondoAlternative organizes many events dedicated to Fund Buyers. MondoETF, leader in the financial information on European Exchange-Traded Funds, focuses on the collection and processing of data on the ETF industry, as well as related consulting, training and information activities. 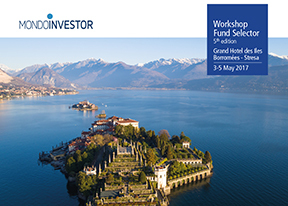 Its rigorous activity acts as the basis of the annual MondoETF Awards Ceremony, the most important event in Italy for the ETF industry.